In a period of rapid change it is crucial to identify the most important ingredients of organizational success – retaining the ability to be entrepreneurial and – most importantly – competitive. This book details what we know about effective organization and describes how managers can use this knowledge to improve their organization’s competitive performance. Practical questionnaires are provided that enable the reader to diagnose the position of his or her organization , and a unique competitive strategy and culture model shows how to make the necessary management initiatives to improve its position. As well as being a practical ‘how to’ book it also has a sound academic research base that combines both organizational behaviour and strategic management in a single, readable form. ‘Technological developments are the only plausible explanation for the explosion of wealth that has taken place since industrialization. It is at least arguable that all change, including social and organizational change, has its roots in technological development. A focused strategy is one where everyone in the organisation knows what they are trying to achieve and how to achieve it … To ensure that it is truly competitive the organization must also have a progressive culture that engages the intelligence, skills and commitment of all its people. 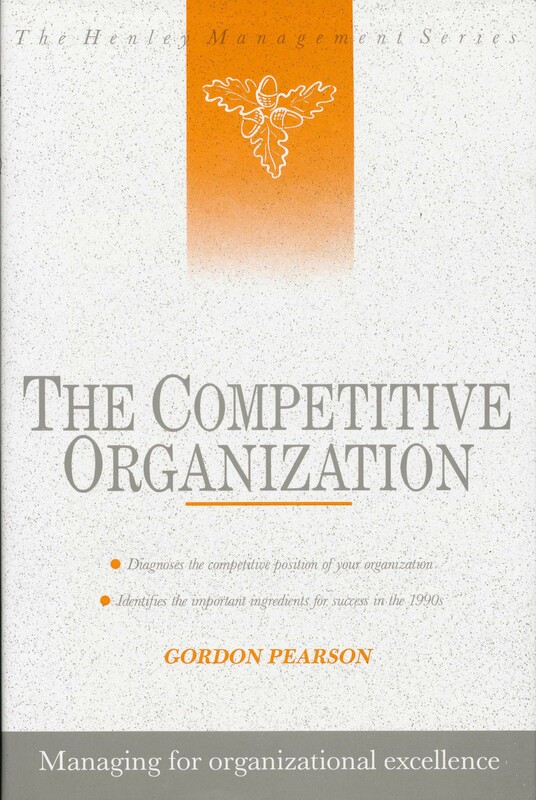 … Turning your organization into a successful competitor … may not be easy, but it is hoped the competitive model helps. Tomorrow’s organizations must achieve this position.